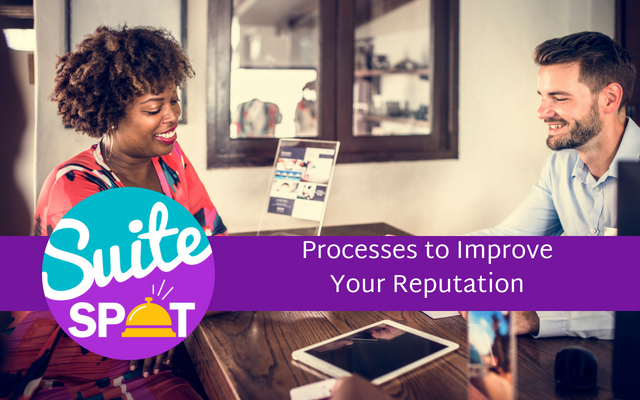 In this episode of Suite Spot, we uncover which processes hoteliers can put in place to impact their reputation. Host Ryan Embree is joined by Jason Lee to discuss how at the heart of the matter, it's still all about service. Jason was a hotel GM for a number of years before joining Travel Media Group, where he now serves as the senior director of online product and technology. In the What’s News segment, Ryan shares some insightful new research from TripAdvisor that found that 98% of hoteliers say that reputation management is important to their business. He's joined in the Suite Spot by Jason, who discusses what this means in the day-to-day operations of a hotel. He shares key insights that he has uncovered from analyzing data from thousands of hotels to pinpoint which reputation processes will make the biggest impact on a hotel's online reputation. In the Q&A segment, we answer questions about the future of reputation management, how to effectively collect feedback from guests, and what review website metrics are most important to pay attention to. To submit a question for future episodes, call or text 407-984-7455. Ryan Embree: Thank you for joining me today. My name is Ryan Embree. I am the host of Suite Spot. Today we are going to be talking about reputation and the importance that it has on hoteliers and their revenue and we're going to actually be joined by someone with quite a bit of experience in the operation side of hotels. We're going to share some best practices on the growing influence of reputation and how to get some more positive reviews. So let's go ahead and jump into our What's News segment today, where we are looking at an article on the 2018 Hospitality Sector Report, which was produced by TripAdvisor. And in this report it has some pretty staggering statistics on hoteliers' thoughts about online presence and reputation. Really what we want to focus on today is a reputation management part of this article and these statistics and metrics that it gave for reputation, I think really gives a good baseline of where the hospitality industry is today. Ryan Embree: In this article, 97 percent of those surveyed say online reputation management is important to their business and these are hotels speaking. 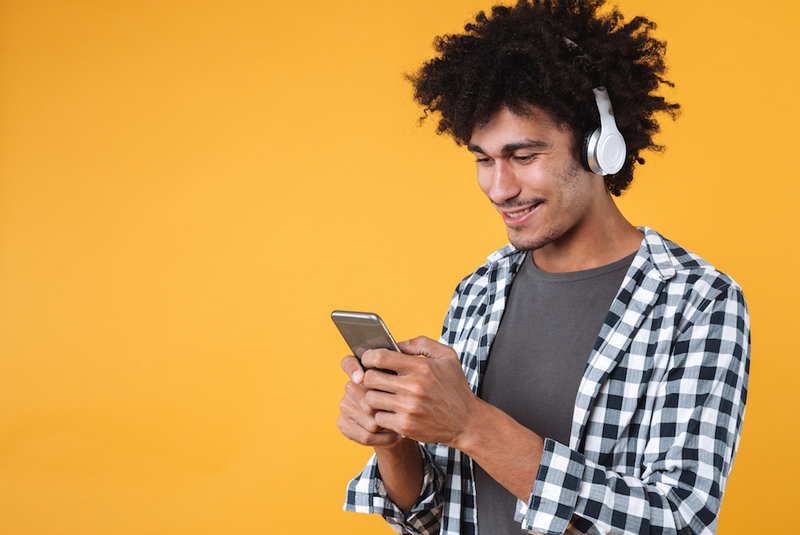 Ninety eight percent say online reviews are important to their business and 92 percent say social presence is important to their business. So I think what we can take away from this article is we've heard over the past decade the growing influence that these reviews and social media can have for a business are going to have for business and we kept hearing that in future tense, but through this article and statistics, we can say that this stuff is already here. Almost 100 percent of hoteliers know the value that reputation management plays in their business and what and how it can translate to revenue and what social presence means for a hotelier, because they know this is the way that travelers are now searching for hotels and basing their decisions. Ryan Embree: So in saying that today, we thought it would be insightful to bring somebody that's been on both sides of the front desk. Jason Lee, who's our director of product and technology. He's been on the podcast before. He was in operations for a long time before he came to us, so he's got a really great perspective on reputation management and how hoteliers can really manage all of this user generated content out there. Jason in fact wrote an article on LinkedIn that got a lot of traction speaking directly to these statistics. So today we're going to give him an interview and you know, he's going to share some insight with us from both sides of the lobby. Thank you for taking the time, Jason. I really wanted to bring you in here and interview today about that amazing article you wrote on Linkedin, [that] like I said, got a lot of traction. I wanted to first start by, We obviously know what you do here at Travel Media Group, but I would like to ask about your background on the operations side of the hospitality industry, before you started here. Jason Lee: Yeah, I think like a lot of people in hospitality, I started in an entry level position. Started as a relief night auditor, kind of like supplementing income while I was going to school and then worked my way up into front desk, front desk management, rooms management, general management, and then I worked for a small chain in California, so kind of into upper management there. Um, so it was, it was cool, you know, it was the 90s, I think most of my hotel experience sits right there in terms of operating day to day. A good chunk of that time was spent in general management. And so it was good. I mean I love the industry. I know there's been a lot of changes, but I feel like there's still like a lot of the same core principles of hospitality still remain. It's fun and it's been fun to kind of work on this side of it. Ryan Embree: Absolutely. And I think that is one of the reasons why this article became so popular was because you bring such that unique perspective of being both on the operation side, but obviously you have a lot of history now on this side where you're analyzing a lot of this data. We have almost 100 percent of hoteliers knowing the importance of this reputation management now. So why do you think it is if, if hoteliers know this, why do you think still so many hoteliers, they don't manage it properly. Jason Lee: I think sometimes it's just this mindset of where the information that they're receiving or in some ways almost public embarrassment depending on the type of review so some hotels react to it and think of it kind of is this negative all negative. "This is a negative part of our business today." You know, and I was thinking about some interesting things that happened during the nineties so we had a lot of the guest feedback we were getting at that time was a lot of comment cards, but we also had secret shoppers and things like that that would give us data. And the data that I would receive from a secret shopper, I would read like it was the Bible, you know, I was so excited when I got it. I read through everything. I shared it with my entire staff. If there was negative information in there, I quickly got with staff members to go through it. Jason Lee: I think back on those experiences and especially on what that secret shopper meant, the fact that we were paying for it, the fact that chain that I worked for is paying for it, and how important it was for us to receive that information, that feedback. And now you have literally in some cases, hundreds a month, of guests that are giving a hotel feedback or in, in the case of probably most hotels, you might have 30 or 40 guests that leave feedback and that feedback is all actionable and it's all based on experience. Not all of it is 100 percent negative or 100 percent positive. There's actually a lot of really interesting actionable pieces all through reputation data. So when a hotelier gets these reviews or they see a review come through, I think what's happened, maybe initially there was this kind of like, oh, you know, this guest maybe it was a problem, or this guest was this, but now you have so much data about your hotel and about experiences that guests have had to ignore it is, I think insane. I think it does your, you, your staff, you know, the facility that you might own. It does it all a disservice unless you take a good hard look at what guests have to have told you. So I know it's kind of a long answer to what your original question was and that was what hotel you're not doing anything about it. And I think some of it just has to do with, "I got a lot of stuff on my plate. It's not a guest right in my face asking me something. So it's on, it's on paper, it's on, you know, on the Internet, so I'm maybe just going to ignore it." Ryan Embree: Yeah. And I mean we talk about this all the time. I mean, the exciting part about this, as you know, we're at an age right now today is the most ever data that hoteliers have ever had in the history of this profession. So that's exciting, but it's also about using that data to, you know, leveraging that data to make your hotel better, to, you know, further that ADR and to find problems within data, mine it out of there and actually implement it into your process. So technology has completely changed the way that hoteliers are now receiving and perceiving the guests' feedback. So can you talk about how it's changed obviously since you were in the operation side and give us some examples of that? Jason Lee: Yeah, I think the way that some of the big things, like I said before, like a secret shopper, we had comment cards that we would try to get some data off of, but we, um, we were not receiving that data on a regular basis. So you could leave your comment card in a room - it's a very low percentage of people fill it out and mail it in or give it to you at the front desk where I really learned hospitality and and I and I actually went to school for hospitality, but where I really learned about it, I had a couple bosses that I worked for. One in particular was just a hospitality nut and he loved it. He lived it, he believed in it. He was guest-focused and so he really taught me about the importance of guest satisfaction and the importance of all of the elements of a hotel from the physical plant to the service that you provide. Jason Lee: That all of that has to be something that is done in a way that systematically so that a guest has a great experience from the time that they step out of their vehicle all the way till when they check out and leave. And, and so when I was looking for ways to improve my product, I would look for that data. I would look for those comment card information. I would look for the information that came from, like I said, in that article from the AAA tour book inspector, um, I would look for all of these elements to give me clues to know how do I, how do I tighten this down, how do I make it better and how do I understand guest perception so if the guest just leaves and never comes back, I have no idea why they didn't come back or why they didn't want to stay with me again. Jason Lee: And so I think now you have all of these clues, all this stuff. Sometimes it gives you little pieces of clues, but if you look at all the data together, you can get a real clear picture of what's going on at your property and what you need to fix. So, so for me, I look at it like "this is a gift." Even though there's a lot of stuff that I'm sure, I'm sure there's a lot of hoteliers and might be even be listening to this right now or they're like, "it's not a gift, Jason. The, I hate it because it. Because there's so much information that guests have to read about my hotel." But I think if you really focus on and take a look at what's going on, especially in the, in the very negative side of the business, you're looking at a very small percentage. Most of the reviews that are received today on TripAdvisor are in the three and above [range], so you have a smaller percentage. It's just those sting the most. Ryan Embree: And I feel like hoteliers feel like sometimes that one or two star that might get through there are kind of on a magnifying glass or you know, and, and they really take that to heart. You know, I think one of the most interesting points of your article was, you know, now being on this side of it, not having to deal with just maybe one or a couple of properties on day to day. Uh, but now you get to look at analytics for hundreds of hotels. You know, you gave some key takeaways to hotels that seem to be doing well in the reputation. You, you saw some patterns there of, of what these hotels were doing in order to kind of keep that positive trend. Can you share some of those with us? Jason Lee: Yeah, so just like I said in the article, I think when you, when you take the time to respond to reviews, when you take the time to really look and see what's going on with your hotel and really respond because really what you're doing is you're not just responding to the everybody else who's reading it. I think there's those two sides of this. There's one side where you're saying, "oh, I've got to, I have to. I have to mitigate the damage that is done by a potential guest reading this. I have to mitigate that damage by, by writing this response." But then there's the other side of it where you're literally communicating back to the guest who wrote it. If you're looking at it from a hotelier perspective and now you're saying, I want to. I want to understand what happened here with this guest and I'm going to communicate that. Jason Lee: I'm going to communicate back and and really earnestly try to seek a solution, seek something that's going to, that's going to satisfy this guest and turn them back into maybe a return guest. That's the beginning of it. And then I think sharing this information with your staff is that second part like just I was talking about before where we take that secret shopper information. I think this is regularly sharing information, positive and negative, sharing the wins, sharing the misses with your staff on a regular basis is really the key because that's where all stuff happened. It happens when, you know the, the lock doesn't work with the, you know, the key card doesn't, doesn't work. It happens when you know the toilet doesn't flush over, the hot water doesn't come on. That's where guest issues happen. And so if you're not sharing this information with them, you're, I think you're really missing out. Jason Lee: So when I see, when I see hotels that are really starting to take an active approach in this, I see really those, those, those two things kind of in front. But then it's also being very proactive about getting reviews, being proactive about getting this information so you have all these outlets. They're going to, if they booked through an OTA, they're going to get a request for a review. If you, if they stayed through your brand, you're going to get a request from the brand, so if there's a way for you to actually get in front of some of that stuff and get reviews and information from this guest ahead of time ahead of maybe some of that other stuff you might get ahead of whatever issue is, is sitting with this guest or was upsetting this guest and and have an opportunity to satisfy that guest beyond the negative information that's out there. Getting that guest to come back and stay with you again. Ryan Embree: Speak a little bit to empowering employees because we had a really good conversation about this the other day and I'm sure the hoteliers are listening now have been in this situation before where a traveler at the front desk saying, you know, I'm going to leave a bad review if you don't do X, Y, and Z for me. And you know, for some hoteliers, trying to make it right with that guest is going to be a lot less harmful than maybe that one star review going on there and if they're not getting frequent reviews that's potentially impacting potential guests coming in for the next weeks, months if they don't get any reviews between now and then. So talk about the importance of empowering employees and how they can kind of help steer the ship right. Jason Lee: I mean, I think some of the most impactful, positive reviews are the turnaround review. It's the turnaround from "I had this issue and it was quickly resolved. Thank you so much. To Maryann at the front desk who handled this for me." And I feel like when I read those reviews I'm like, man, there's something going right at that hotel. Um, and I think that's how other travelers might feel as well. So that turnaround is really important. So when I was running hotels, for me, one thing that was very important to me to stress with my front desk and on our, on our front desk meetings, we regularly roleplayed and talked through how to satisfy a guest, me giving them the tools to understand if this guest, if you feel that this guest had a bad stay and it warrants them, not paying for that stay, do it. Comp the room. Jason Lee: The most negative experiences are the things that really stick in our heads. So we think about that guest that was trying to cheat us out of the room night, right? So now that's our in our, in our DNA we're like, "oh, now these guests are all trying to cheat us." It's such a small percentage. If you really think about every guest that comes to your hotel, the guests that's really trying to grift you out of $100 is very a very super small percentage. Most of the time it's a guest trying to just give you the information and they could be upset. They were like, "I, you know, I couldn't. I couldn't shower this morning because there was no hot water and I'm really upset about it." And if you feel that that warrants a free room than, than that, then you make that call. But I'm also going to challenge you that if it's something minor and you gave away a free room, we're going to talk about that, but I wanted to give them the power to make the call to satisfy the guest and make the guest happy and even going so far as to saying it's okay to ask the guest, "What can I do to make this right? I'm so sorry this happened. What can I do to make this right?" Ryan Embree: A lot of times guests just want to be heard. They don't want to feel like they're crazy. Uh, the thing that makes me the most crazy and I used to like freak out whenever I heard it at the front desk was a, a guest comes to the desk and they complain, and the front desk, the first thing the front desk says, "Well, did you try to contact us? We could have moved you to another room." So now we're immediately pushing it back on the guest. It's the guest's fault for not letting us know, you know, the middle of the night where we could have displaced them into another room, you know, and I, and I think that that goes through your entire staff. It's the missed thinking that you, you are at odds with the guest and the gear and some sort of like, you know, grapple till they check out. Jason Lee: And then once they check out, you know, then you're again in the same grapple if they leave a review. So I feel like that's where there are so many really cool things. If you empower employees all the way through housekeepers, it's that, you know, it's that thing where somebody comes out and I need an extra towel. And then the housekeeper then you know, if you're in this kind of lockdown mentality and the housekeepers like, "oh wait a second, and now I need to know how many towels are in that room. So they don't steal a towel." I think you're missing hospitality. You're missing what it takes to run a hotel. Um, and so I feel like the more you empower your staff to create guest satisfaction, the more satisfied guests you'll have the more return guests you'll have, the better opportunity you have for repeat business that comes directly to you, um, that, that stays because of your staff that stays because of, of the, of the kind of culture that you have, your hotel, um, and the more you go the other way, the more you lock down and create safeguards against the guest, the further apart that that divide will become until you get to this spot where you're always at odds, your return guests go way down. You know, if you don't have a culture of satisfaction, guest satisfaction or customer satisfaction, you're going to have trouble. Ryan Embree: Right? And I agree. I think it's, it's all about shifting your thinking, right? You know, you, it's exactly what you said. You could think of these, these, all of these reviews as potentially negative. And this is, this is an outlet for travelers to be able to tear down my business. But if you just shift your perspective a little bit and say, "no, these travelers and guests are giving me keys every single day to how I can better my business, how I can better my hotel, better my staff." I mean, it's just gonna be a whole lot easier on you and your hotel. Really interesting stuff. Jason, if you don't mind and you still have some time, I'd love to, to do some Q&A with you so we can get some answers to some of these questions we've got. Ryan Embree: Okay. So we've got several questions today. We would definitely want to take advantage of your expertise while you're here, Jason. So let me start with the first one and this has to do with kind of where you think reputation management is headed for hotels. You know, we've started to see the brands start to require responses. Where do you think this is headed? What's the next steps to this? Jason Lee: I think with, I think what you're finding with brands right now, and this is something that they felt all along, is that it hurts the brand itself to have unanswered one and two star reviews, so brands are really focusing on one and two star reviews right now and they're tightening down the timelines. So you have brands at 72 hours typically right now in a response and you're having fines actually being placed on hotels that don't respond to reviews. So the the ante is up and I think what we're brands feel that frustration is they. They're like, "Hey, we've solicited this, this feedback, the least you can do is respond to it, especially when it's super negative." And, and so brands are definitely, they're locking that down. I think that trend is not going to stop. I think they're gonna continue with that trend and it's, it's something that they're gonna they're forcing hotels to look at it and I think it's a really good thing. Jason Lee: I think if you're at one of these brand hotels and you might be listening to this right now and you're like, "yeah, and I'm really angry about it, or maybe I got to find and I'm upset about it." You know, there are lots and lots of stuff and I'm not trying to like pitch Travel Media Group. There's other companies that do review response as well, but I think it's finding a partner that can help you with some of this stuff that doesn't take the responsibility away from you for the response, but, but helps you. 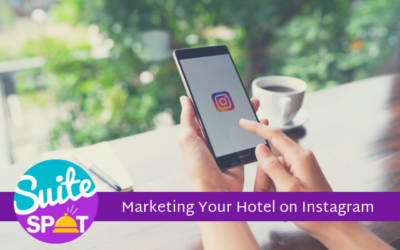 It just helps you streamline a process or helps you get into a groove of a process because every hotel has processes, whether it's preventative maintenance processes or it's front desk training process and service process or, or it's the, um, the housekeeping procedures. Every hotel has these processes and I feel like guest feedback response has to have a process at this point. Ryan Embree: Yeah. And you know, these brands require these things for a particular reason, right? They just don't pull it out of the blue. It's a travelers are expecting these responses now. The expectations are getting higher and higher, with not only, not only am I going to write about your hotel and about my experience, but I expect a response, right? So they're the forefront of doing this and I agree with you. I think it's just going to get tighter and tighter that, that window of when not only if you know they're going to have to, but when they can respond as well, it's going to start to shrink. Jason Lee: Mean if you're Hilton and you've got 5,000 hotels, you have a unique perspective as well because that guest, it's not just about the, the Hilton that they stayed at the, they had a bad experience in, you know, or the or the IHG property they had a bad experience and it's about them never staying at that brand again. "I'll never stay at a Holiday Inn Express again or never stay at Hampton Inn again." Or whatever. Whatever that guest's perception is. And I think one and two star reviews really reflect a guest dissatisfaction and that does translate back into the brand. And I think that's why the brands see it. They see it at that view and that's why this has become so important. Ryan Embree: Gotcha. Yeah. So the second question I want to pose to you is, this one's kind of interesting. Let's say today I gave you, you know, your own hotel again to own and manage. How would you start to collect feedback and improve maybe your reputation in comparison to how you did back when you were in operations. So now you've had all this time to obviously see the data, look at it from a different Lens and perspective, you know, what are you doing differently this time? And obviously leveraging technology? Jason Lee: You know, I would, I think from in terms of how I would handle my staff, it would probably be very similar to what I did back then, but how I would handle requesting feedback from guests would be different. This is something that is that that is different from when I was there and I would have to have a process. Like I was saying before, you have to have a response process. 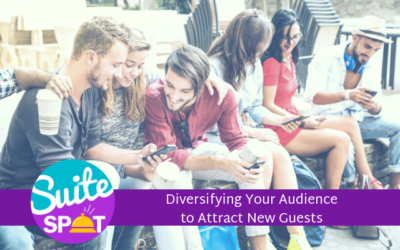 You need to have some system in place that is constantly soliciting feedback from your guests. And the and whether that's offline feedback or online feedback, it's constantly saying, can you give me, you know, "How did we do? How was your stay? Did you enjoy your stay? What can we do to make it better?" And if you're in that kind of process and that kind of mode, the more feedback the better. Jason Lee: And if you look at hotels that really moved the needle in terms of reputation growth and reputation and city rank growth and things like that on TripAdvisor and other sites, they're all the hotels that are doing that I see are really heavy on that side on, on trying to get more and more reviews because you can get a lot of satisfied guests and people are, for whatever reason, I think people are motivated negatively, you know, so like, "I'm angry as so my motivation is a lot stronger than when I had a great time." I had this great stay and I just walk away like, "yeah, that was nice. I'll stay there again probably." But does that prompt me to go and give feedback? And so it's looking at that and saying, "Am I satisfying all these guests?" But at the same time, "How can I systematically get that feedback?" Yeah. And, and they either get that feedback publicly or get that feedback back into my, to my staff and to myself. Ryan Embree: and it comes back to expectations, right? You know, the. And that has to do a little bit with it. You know, these, these travelers now come in and expect five star service wherever they're staying. You know, how many five star reviews are walking out of your hotel every single day? They're just not finding themselves in a public space. You know, finding a process or a right fit that's going to get that five star experience out of them into a platform that's going to impact your business is, is huge. So the last question, I think it's going to be really insightful for our, especially the hoteliers. What metrics should they look at to know if their hotel is losing business just based on reputation? Jason Lee: Reputation has gotten mature in terms of scoring. And I think what you're, what you're finding now is you're starting to see hotels that get a review profile and that review profile kind of sticks with them. So if you have a thousand reviews and you're a 3.5 and you're kind of in that 3.5, mode 3.5 is, is where you're going to be for a while based on the numbers at a thousand reviews. So to move past that, you're going to have to really get a lot of reviews. I mean a ton of reviews. What ends up happening is that your guests are in the same spot, so guests that are looking for hotels are kind of in that same boat where they're like here's all these 3.5 hotels and maybe they're in the price range that I'm in. So really it comes down to then those 10 reviews that are on that main page. Jason Lee: So looking at those 10 reviews and saying, are these, "What are these reviews look like? Are they positive? Or do the negative ones have responses?" So guests are coming down to the like, I have all these, I have, this is my selection of hotels by price in here, here are all of the their basic star ratings. Now which one am I going to pick? So then that 3.5 becomes almost white noise in that segment and now they're just picking by whatever they see in in terms of review content. So I think if you're a hotel and you, you have negative reviews, unresponded negative reviews, or you have negative reviews in that, on that, on that page, the last 10 for example, and you're also seeing conversion decline, I would look there first. So if you. 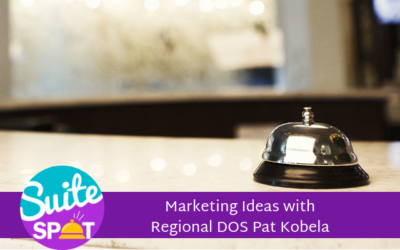 If you get your star report and inside of your segment in your market and you're not performing the same way the other hotels in your market are, so you're under share or your at share, I would 100 percent look there because guests conversion happens in those spaces. Jason Lee: It could be like, "Hey, I'm a, I'm a 4.5 or I'm a 5 or whatever and it's on the top of the segment I'm doing really well. But I think most hotels find themselves in the segment that they've put themselves in over the last five, 10 years and then, and that's where they're at. So be the best you can be in that and find a way to move out of that. But if you're. But if you're, if you start to see any kind of occupancy slip and definitely looking month over month are using revenue management strategies, you might see an ADR erosion or occupancy slips. I would definitely focus there. And, and not just in TripAdvisor but definitely look at Google. Google reviews have gotten massive. So Google has, has taken over or it's the number one non-OTA review source right now. So in terms of getting numbers of guests, leaving reviews, Google is number one of non-OTA. So I would look there for sure. Um, in, in both of those places. Ryan Embree: Yeah, it's a great best practice of what you said. I mean, if you have some longterm goals of, you know, you're a two point five star and you need, you want to get up, your ultimate goal is to get to a four or even a three and a half star. I mean just making sure that that first page is constantly having those five star reviews. It's, it's working towards that longterm goal, but it's also helping you in the short term of those people that are looking every single day because we don't know when those travelers are going to be looking. All we know is that they are looking and they are making those decisions. So super, super insightful stuff. I'm really glad we did this. Uh, want to thank you for your time and joining us on the podcast today. Ryan Embree: As always, if you have a question for Jason or anyone else here on our staff, we'd be happy to answer it. You know, our number. That's 407-984-7455, 407-984-7455. We'd be happy to give you some insight on your question, so thank you for everyone for listening and we'll see you next time. To join our loyalty program. Be sure to subscribe and give us a five star rating on iTunes. Suite Spot is produced by Travel Media Group, our editor is Anne Sandoval with cover art by Bary Gordon and content support by Amber Wojcek. I'm your host, Ryan Embree, and we hope you enjoyed your stay.